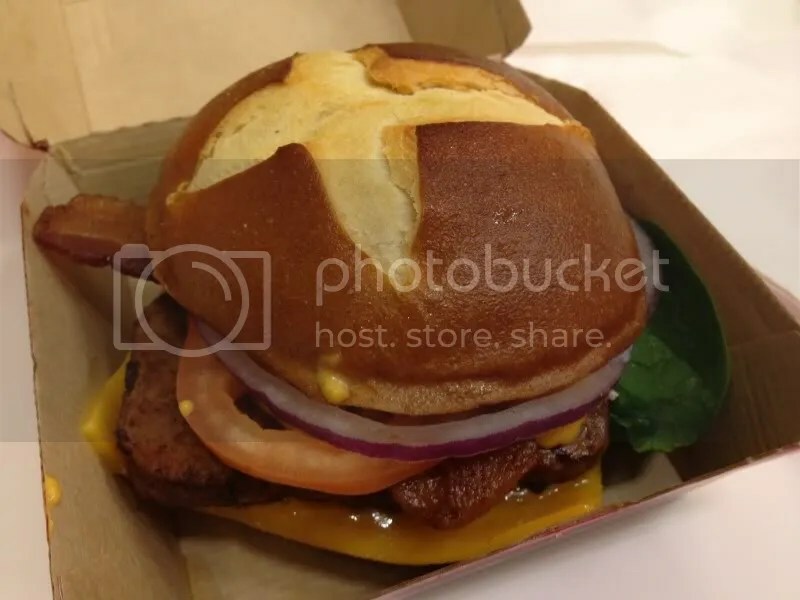 A few months ago, I’d been tipped off to the fact that Wendy’s was testing a new cheeseburger on a pretzel bun. I love cheeseburgers and I love pretzel buns; it was a match made in heaven! 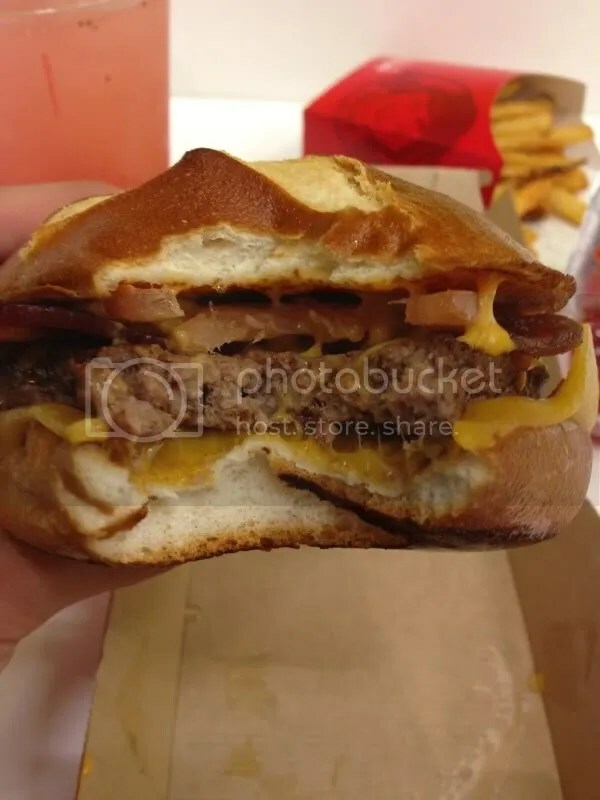 So with fingers crossed and bated breath, I waited and it was finally revealed that the Pretzel Bacon Cheeseburger would be a getting a national roll out. And to a city like Philadelphia which prides itself on the pretzel, we hoped that it would not be a disaster like Burger King’s ill-fated “Philly Chicken Sandwich“. The bun looked more squished than the fancy advertising shots. The tomato, clearly on the less ripe side. Cheese slice, not completely melted. One lone spinach leaf peaking out of a garnish. But hey, let’s be realistic! This is fast food, not the Four Seasons. You have to go into this with lowered expectations. The bun was buttery smooth and soft; not too salty or dry, which was probably the ideal consistency for this type of burger. 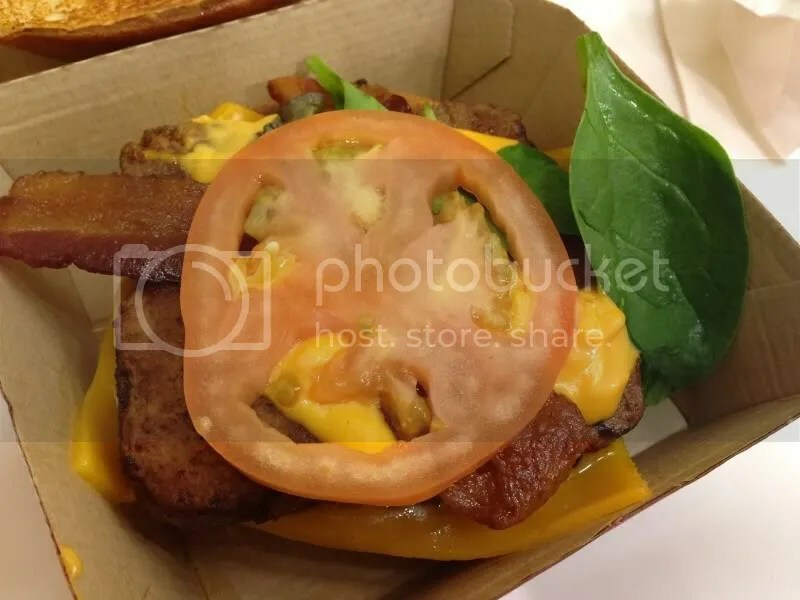 The website touts the burger as being topped with melted cheese. Mine appeared to have not only a partially melted cheese slice, but some type of cheez-wiz concoction as well. Mixed greens to top the burger were very minimal, as you can see. There was also supposed to be a “sweet & smokey honey mustard sauce” topping the burger; I did not detect any of these notes. Applewood bacon slices neither added to nor took away from the overall burger flavor. Verdict? Try it once just to say you ate it, but I wouldn’t recommend making it your fast food “go-to”. Posted in bacon, buns, burger, cheese, Fast Food, pretzel, Wendy's. Bookmark the permalink.